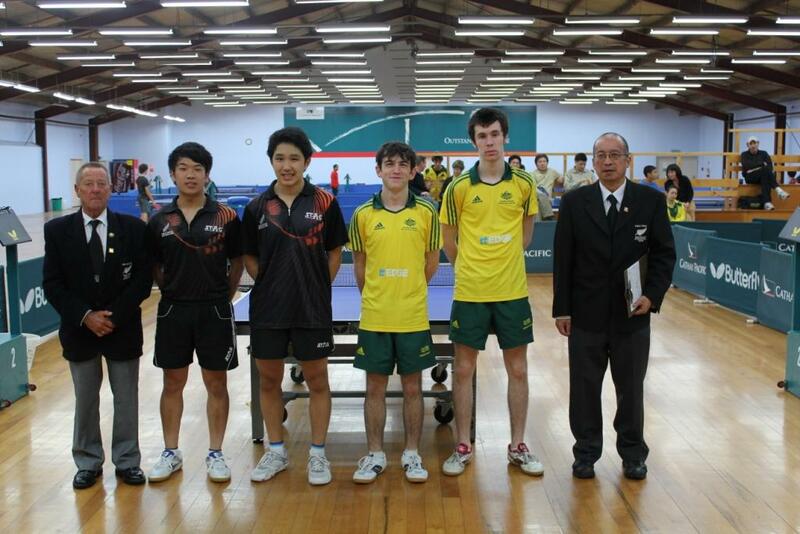 Malcolm Wong flew up to Auckland for the recent KVB Kunlun TTNZ 2012 New Zealand Junior & Cadet Open held April 19-22. He was there as one of the official umpires and I hear it was non-stop at the umpire stand for all umpires involved so thanks to all of them! Following is Malcolm’s report along with photos borrowed from various sources. Local Wellington and Belmont player Thom Nguyen represented New Zealand at this event. 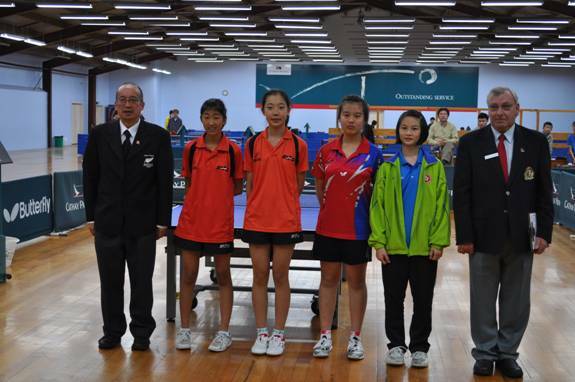 Results and details are on this page on the TTNZ website and on the ITTF website. This tournament was held at the Auckland Table Tennis Stadium at Newmarket, Auckland. There were 82 participants (46 boys and 36 girls). Most were from New Zealand (37) and Australia (23).Other countries were The Cook Islands (8), Kirabati (3), Hong Kong (2), Malaysia (2), New Caledonia (2) Singapore (2) Norway, Solomon Islands and Thailand. Only 6 umpires were available for all 4 days, with a few more on Saturday only. This meant the umpires were required for all rounds from 9am and finishing 9pm for the first 3 days. Play on the last day finished at 7pm. So it was a very tiring experience for the umpires. On the first day I umpired 8 team matches. I umpired the finals of the Cadet Boys Teams, Junior Girls Oceania World Championship Qualification, Cadet Girls Doubles, Junior Boys Doubles and the Junior Girls Singles. Thom Nguyen was Wellington’s sole player at this tournament. He won a Bronze Medal in the Junior Boys Team as a member of New Zealand B (with Daniel Lowe). These two also won the Silver Medal in the Junior Boys Doubles. PS: A great news story on Manawatu umpire Val Scarr is here.